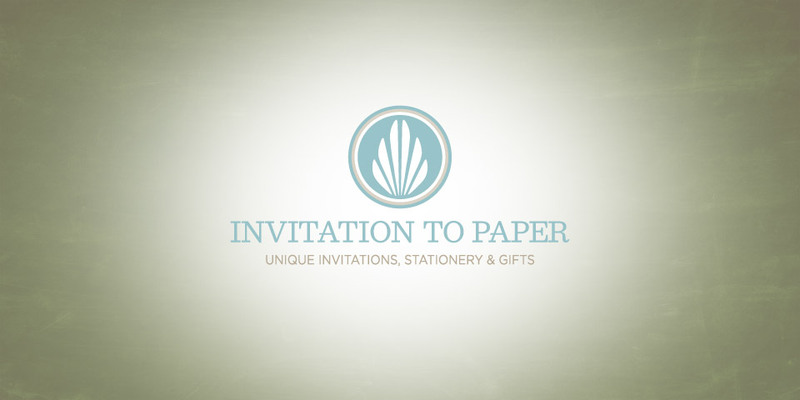 Invitation to Paper has an incredibly broad line of unique invitations, stationery, and gifts. The wedding invitation lines cover a full price range from $200 to $4,000. There is also custom social stationery, announcements, invitations for social occasions, and special occasions such as Mitzvahs. The greeting card area has 30 different lines. That’s a great company. And…they needed a great logo.Many companies struggle with their corporate identity strategy and how it relates to their business strategy. If the logo represents a product, is it too limiting. If the logo is to vague, will customers understand what they do? At Boom Creative we bring decades of experience to every corporate identity project. We created a solution for Invitation to Paper that captured the spirit of their business while giving them the latitude to expand in the future.